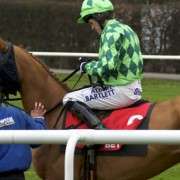 The Peter Marsh Chase run at Haydock Park is usually contested by horses with one eye on a Grand National entry. Saturday’s renewal was no exception with 2014 National hopefuls Katenko, Merry King and Chance Du Roy following in the footstep of past Aintree National runners like Earth Summit, Cloudy Lane and Our Vic who have all previously contested the 3 mile race. 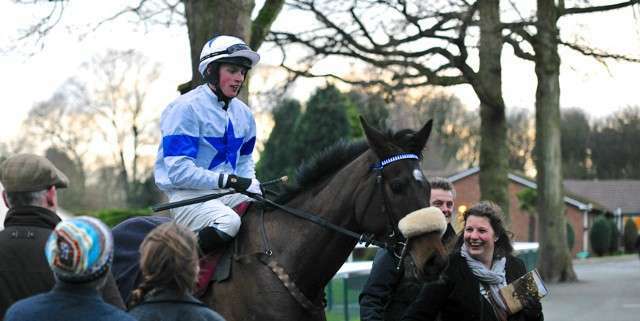 Among the other Peter Marsh Chase entrants on the day was Vintage Star, trained by Sue Smith and ridden by Ryan Mania, the team which landed the 2013 National with Auroras Encore. In fact there were no fewer than five previous Grand National winning trainers with horses in the featured race. Jonjo O’Neill, Venetia Williams, Donald McCain and Paul Nicholls have all saddled up Aintree winners and they were joined by Welsh trainer Evan Williams, although he's yet to train a Aintree Grand National winner Williams' record in the big race is enviable, 4th in 2009, 3rd in 2010, 4th in 2011 & 2012 with his highest finish coming last year when Cappa Bleu finished 2nd to Auroras Encore. Before the race few punters had expressed an interest in the Evan Williams trained Wychwoods Brook, the horse was a 16/1 shot with most of the on-course bookies and no doubt bigger odds could be found online. 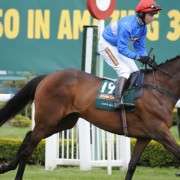 Williams’ Conditional jockey Conor Ring was paired with Wychwoods Brook for the big race, the young rider had already steered 20/1 shot Extreme Impact to victory in the meetings first race and was all set to give the backers of race favourite Katenko (3/1) extreme depression. 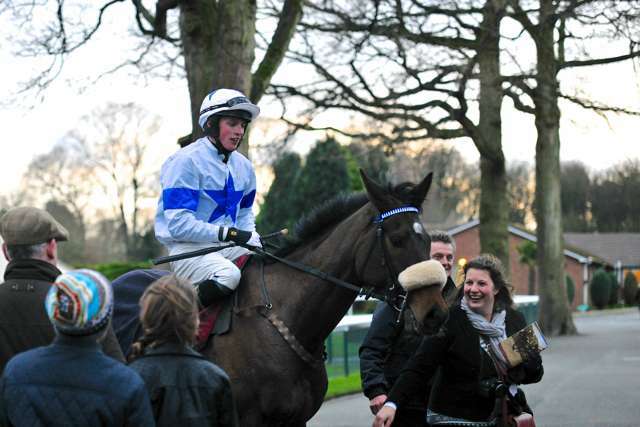 In heavy going the ten runners took off on a cold but sunny day at Haydock. Despite not jumping convincingly Wychwoods Brook did enough to fend off all challenges, including a late attack from Vintage Star. Race favourite Katenko finish 4th behind fellow Grand National hopeful Merry King, despite finishing third Merry King looked the best of the bunch and should take the extra Aintree mile and a bit in his stride, although still on the young side for a National contender, the Jonjo O’Neill trained Merry King looks like the right sort to tackle Aintree. 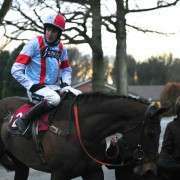 Suggesting that one day Wychwoods Brook could take on Bechers Brook.